The final heat of this year's competition sees the best chefs of Northern Ireland enter the Great British Menu kitchen. Take a look at who's appearing. This year’s Great British Menu might be nearing the end, but before we get to the finals week and see which talented chefs make it to the banquet, we’ve got the best and brightest of Northern Ireland stepping up to the stove in a bid to join them. See who’s appearing this year and place your bets on which one impresses the most. When he was younger James had an offer to study law at Queen’s University Belfast – but a spontaneous decision led him to change to a cookery course. Once his basic training was complete, his first public appearance was on MasterChef: The Professionals in 2013, where he reached the quarter-finals, and in 2015 he made it to the regional finals of the Roux Scholarship. James’ biggest break came when he won National Chef of the Year 2017, and after working as a sous chef under Danni Barry at Deane’s Eipic, he moved on to Ardtara to become head chef. He’s got plenty of experience in cooking competitions both on and off the screen, so should be a worthy contender. Shauna is from Derry in Northern Ireland and comes from a family of restaurateurs, so cooking is certainly in her blood. Her first student placement was at Pétrus, where she met Marcus Wareing. 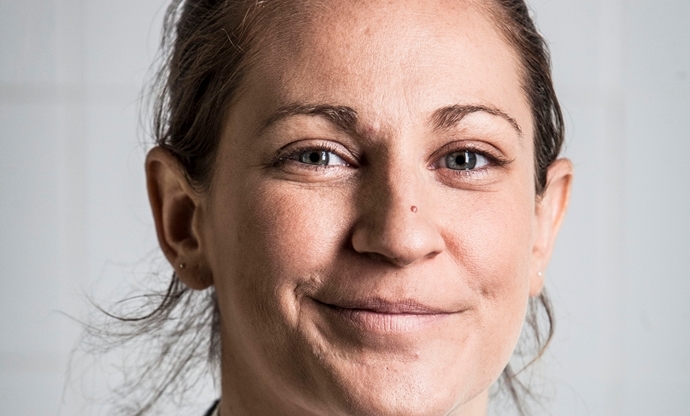 After finishing her degree, she was offered a role at the newly-launched Marcus Wareing at the Berkeley, quickly becoming a pastry chef alongside her husband-to-be, Mark Froydenlund. 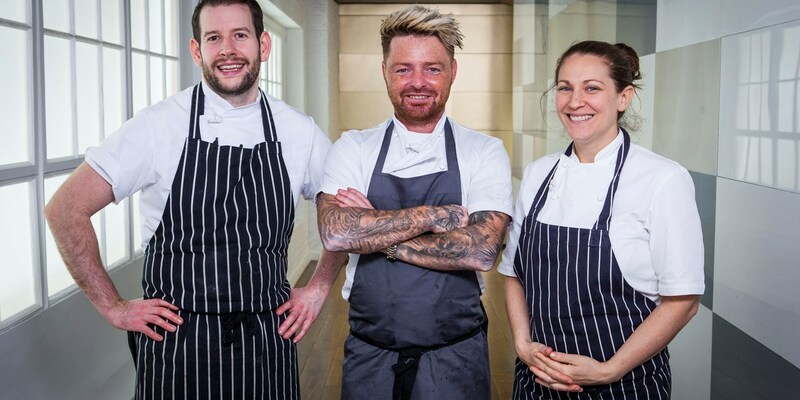 In 2014, Shauna and Mark were part of the team that re-launched the restaurant as Marcus, and after taking a year out, she returned to the restaurant in February 2016 to partner up with Wareing and her husband Mark as joint chef-patron. 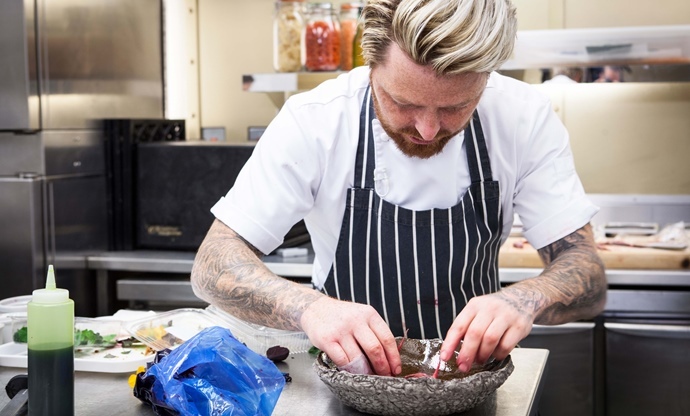 Crumlin-born Tommy’s first taste of cooking was a summer job in his uncle’s restaurant in America at the age of fourteen, which kick-started his love of being in the kitchen. After a stint of travelling in Australia, he returned to the UK and cooked for a number of Michelin-starred chefs including Richard Davies, David Everitt-Matthias and Ollie Dabbous. Until very recently he was head chef at The Great House in Brigend, which in 2016 won Hotel Restaurant of the Year at The Food Awards Wales. 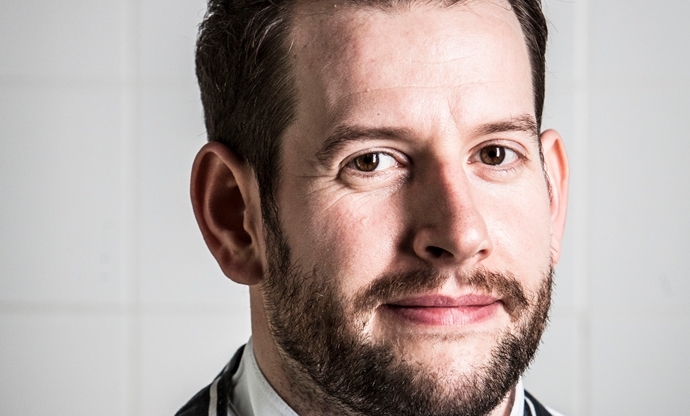 He’s now about to open his own restaurant in Cardiff called Heaneys, and with a previous appearance on Great British Menu, he has the most experience of the competition out of the three.